She worked for it. 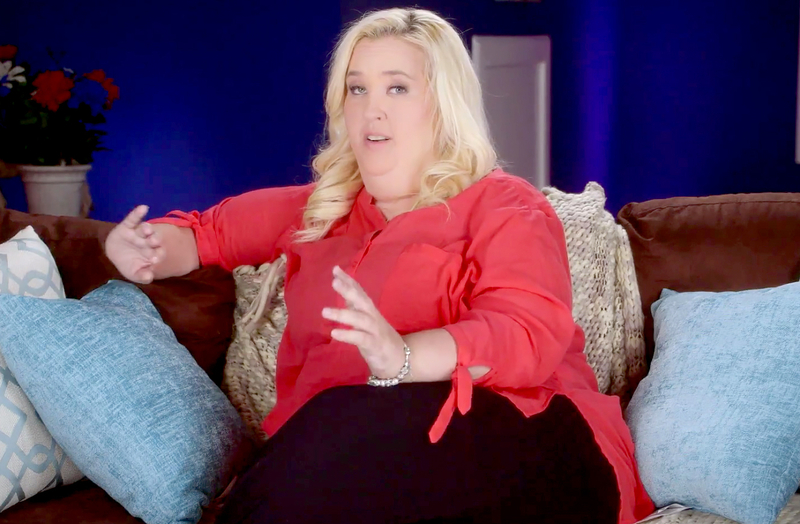 Mama June Shannon revealed in a new interview that she had to pay for her own weight loss surgeries, despite the fact that her dramatic journey was showcased on TV. “I had to pay, just like everybody else,” she said during an interview on the Domenick Nati Show on Friday, March 10, noting that We TV and the producers of her reality show, Mama June: From Not to Hot, didn’t cover the bills for her gastric sleeve procedure and subsequent plastic surgery. “It was going to happen whether I had them [paying the bills] or not,” she added. Shannon, 37, shrunk from 400 pounds to a size 4 and underwent skin removal surgery on her arms and neck as well as a tummy tuck and breast lift. She said that she’s “definitely not” going to have any more procedures, but added that she didn’t consider them plastic surgery. “Plastic surgery to me is having something broke or something put on or whatever,” she said. Shannon was also asked if she would let her daughters — including Alana “Honey Boo Boo” Thompson, 11, and Lauryn “Pumpkin” Shannon, 17 — have surgery as a way to lose weight.